Somewhere along the way I fell out of love with the night. When I first moved to Busy Solitude Farm in the summer twelve years ago, every evening was spent outdoors. I ate supper at the picnic table with a book by my plate. Then I observed my Briards as they experienced the smells on the breezes. The sun would set. 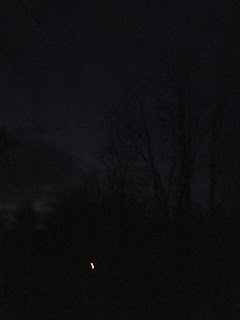 Bats flew overhead; owls called. The crinkle of critters marked their creeping through the overgrown property next door. I loved experiencing a good country night. Friends called "dinner's at 8!" and I happily sped down dark roads to join them. Heading home at eleven, or midnight? No problem -- the better to view the night sky. In the past few years my joy in the full moon, or a new one, fell away. "Dinner doesn't start until 8? Gee, that's kind of past my bedtime." "It's buggy out." I really don't know why. It's true that my aging eyes don't react to light as quickly. It's true I work on central time, and live on eastern, creating a constant tension between rising and retiring. 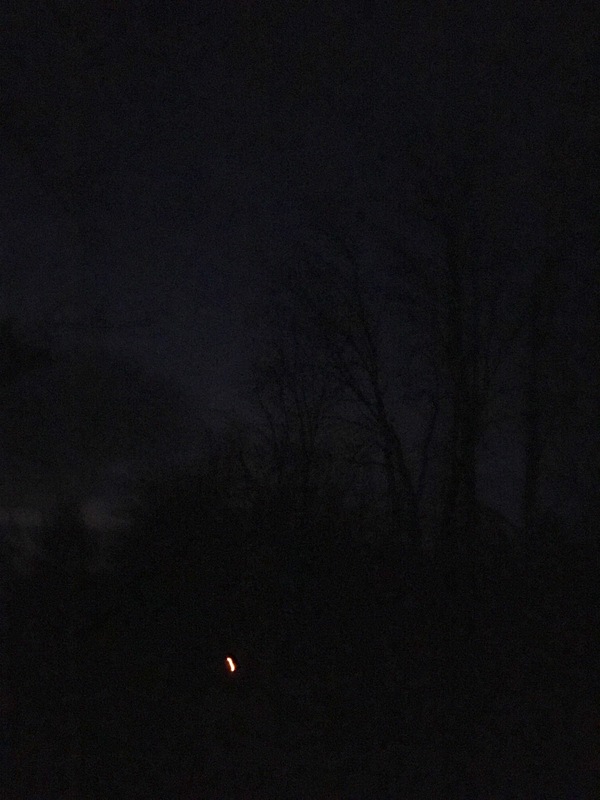 But I had cause to drive at night a month or so ago, and I realized that the moon across farm fields in a clear, dark sky is a thing of wonder. Still. And tonight I took a glass of wine outside and sat on the dark side of the house, listening to the crisped grass crackle under the paws of some silent creature, and watching as the stars emerged, and I thought how amazing this night is, that reappears in infinite forms providing sensory delight for any who choose to just sit. That is all that is required. Just sit. And I fell in love with the night. Again.